The National Unity Government (NUG) has been working on building Afghanistan’s first-ever women’s university in capital Kabul. 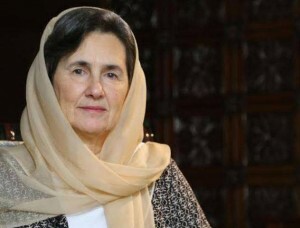 In a press conference on Wednesday, first lady Rula Ghani said that President Mohammad Ashraf Ghani has been working to establish the university in near future. Rula Ghani added that the initiative would help girls who are not allowed to study at other universities to continue their education at the women’s university. She further said during the conference which was also attended by cabinet members, including Higher Education Minister Farida Mohmand, civil society activists and women students that building a university for girls was one of the promises of President Ghani during his presidential campaign. Farid Mohmand, the Minister of Higher Education said during the conference that the university would be constructed on around 47 acres of land in Tapa-e-Maranjan area of Kabul with the assistance of Turkish government. She said that the university would be named as Mawlana Afghan-Turk University. The university has already received pledges of assistance. President of the American University of Afghanistan (AUAF) Dr. Mark A. English said they will help the university to develop programs and increase its resources.